Under the European Year of Cultural Heritage 2018, UNESCO and the European Union teamed up to develop a new project strengthening the connections between heritage, youth and education. 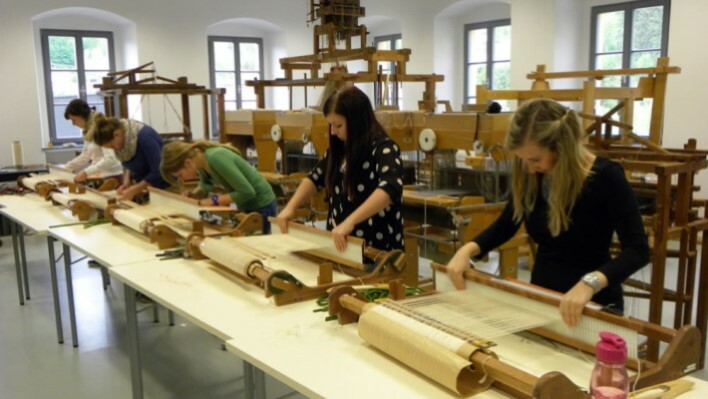 The project has two main components: the first one aims to bring intangible cultural heritage into the classroom, while the second one seeks to empower a new generation of heritage professionals. UNESCO will carry out a series of activities with the UNESCO Associated Schools Network to foster learning about and through intangible cultural heritage in schools. It will map existing experiences of integrating intangible cultural heritage in school-based learning and pilot innovative approaches with new guidance materials developed for teachers and schools. A special focus of the project will be the integration of intangible cultural heritage in the lesson plans of core curriculum subjects, such as mathematics, physics or chemistry. It will organize the Young Heritage Experts Forum to be hosted in Zadar, Croatia in the first half of 2019, which will bring together 28 young experts from all across the European Union. They will engage in a series of activities related to the safeguarding and protection of their cultural heritage, including workshops, group discussions, hand-on experiences and site visits. Through sharing ideas and experiences, they will learn from each other, create synergies and reinforce their aptitudes and skills. As a result, the Forum will empower them to become better advocates of cultural heritage and enable them to implement sustainable projects on heritage protection and safeguarding in their home countries.